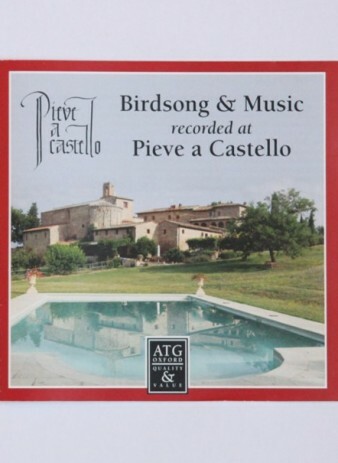 Birdsong & Music was recorded at Pieve a Castello, ATG’s architecturally unique Residenza d’Epoca in the depths of theTuscan countryside, between Florence and Siena. This CD consists of field recordings made at Pieve a Castello, alongside music performed and recorded by the Conference of Birds in concerts at Pieve’s church, on one of ATG’s Escorted walking trips. The result is a collection of astonishing and unique music, with overlapping birdsong, instruments and natural sounds.